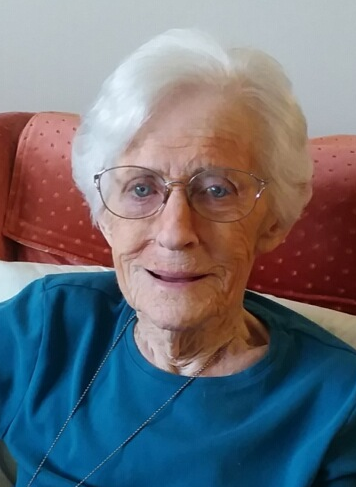 89, of Carrick, passed away on January 21, 2019. Born in Pittsburgh on, October 31, 1929 beloved daughter to the late John and Mildred Bryce. Loving wife to the late Sylvester A. Matus who passed in 2009. Caring mother to Joan (Rick) Connell, Jan (Randy) Betz, Jack (Gail) Matus and June (Patrick) Dolan; Proud Grandmother to Dr. Jackie (Alex) Saladino, John (Kayleigh) Matus, Dana (Nicholas) Rausch, Sally Betz, Jeffrey Connell, David Connell, Elizabeth Dolan and Mark Dolan. Great-grandmother to Noah, Mason, June, Andrew and Waylon. Also survived by one sister June (Harry) Yeich, along with many loving nieces and nephews. A Mass of Christian Burial will be held at 10:30am. Friday, January 25, 2019 at Catholic Community of South Pittsburgh, Catholic Community of South Pittsburgh of St Wendelin Church.